Be honest: which shell would you spend more time looking at? Which shell would cause you to wash it out, turn it over, look inside? The perfect one on the left? It is beautiful. Not a nick in sight. Not a scratch. No hint of hard times at sea. Or, would you spend more time with the shell on the right? Banged up, part blown out by rough waters, parts missing. Some parts rough, some parts shiny and smooth. If you look inside it, you can even find other interesting shells tucked deep into the nooks and crannies. The cracks are compelling, are they not? This is true for a lot of the things we think are beautiful in nature. When an object of nature is weathered, we are in awe at how this thing survived. We wonder what trials it has endured. We ponder what lived in it, around it. What wonders happened to create this rugged beauty? Yet, as I type this message, I am still striving for perfection in many areas in my life. Energy is still being wasted trying to excel and perform, to impress and achieve. I would still like people to think that I “have it together.” Shining up my shell to look perfect and untouched. If I let others see the parts of me that have been blown out by hard times in life, would it cause more people to ponder how I survived? Would my missing pieces make someone ask why I am still joyful? There is a beauty in our brokenness that cannot be replicated by perfection. Awe and wonder, curiosity and questions, surround the nooks and crannies of our well-worn lives. Do not fear, for I have redeemed you; I have called you by name; you are Mine! My prayer is that we would live more openly rugged lives, that we would let others see the waters the Lord has brought us through by showing the cracks left behind. 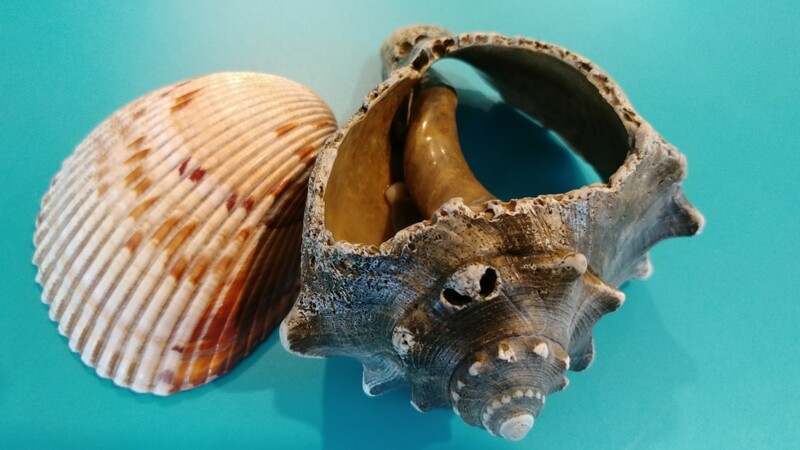 For God’s glory, may we be like the shell on the right, open with our hardships so that we are interesting enough to make someone want to spend more time looking at what’s inside us. By the power of Jesus’ name I pray these things over my life and yours. Amen.